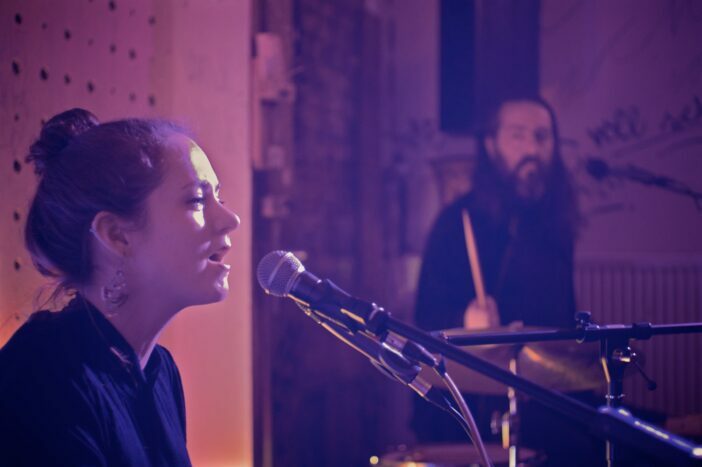 Pseudonym of Northern Irish born songwriter Laura McGarrigle, Gaze is Ghost creates beautiful, otherworldly music. We’re excited to announce the next single from her forthcoming album, ‘By The Book‘, accompanied by a string of dates in Ireland and Northern Ireland. 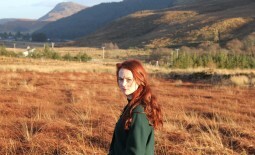 Following expansive, folkloric opener ‘Selkie Skin‘ Laura’s latest single sees her striking further inland. Joining a long tradition of classically-minded, original female songwriters, with ‘By The Book’ she has crafted something at once intimately familiar yet deeply intricate, idiosyncratic – a strong and confessional portrait painted with a hundred distinct shades. With its chamber pop overtones and oddly medieval gait, the song somehow retains a modern feel – in part due to the propulsion from drummer Casey Miller, in part its fresh and unconventional song structure full of emotionally resonant twists and turns. ‘By The Book’ is available to listen to now, and Gaze is Ghost begins her live shows April 9th with a live performance on BBC Radio Ulster’s Electric Mainline show, followed by performances in Belfast, Galway and Derry. She performs at all dates with Slow Place Like Home.